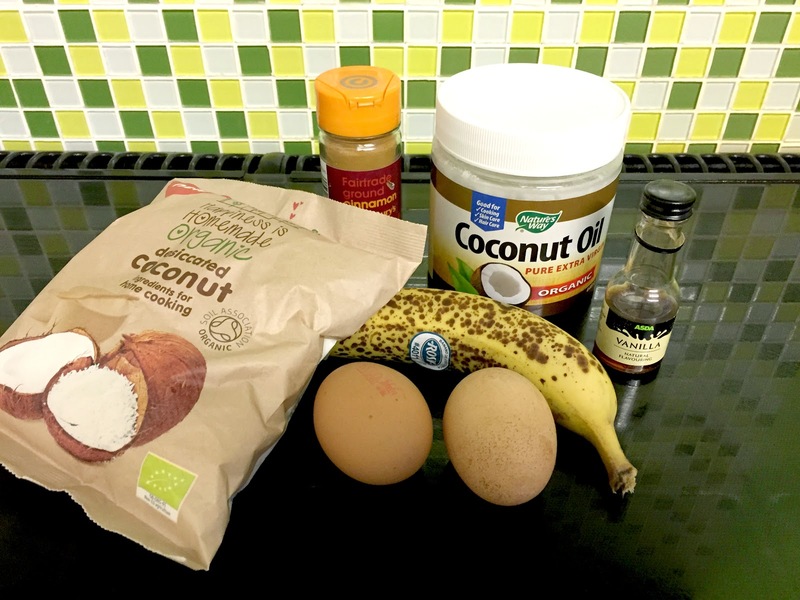 I found these Coconut Mini Pancakes when Annabel Karmel put up a little instagram with the recipe, they are wheat and diary free (if you use the coconut oil). 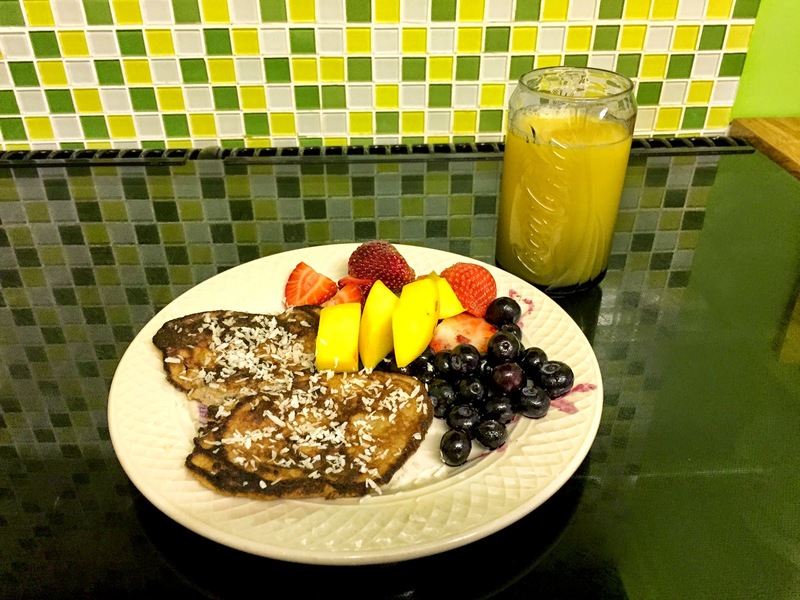 They make the perfect toddler breakfast, as they are full of goodness. I thought I would share them with you, they are soft enough even for mini mouths. Try them out! 1. 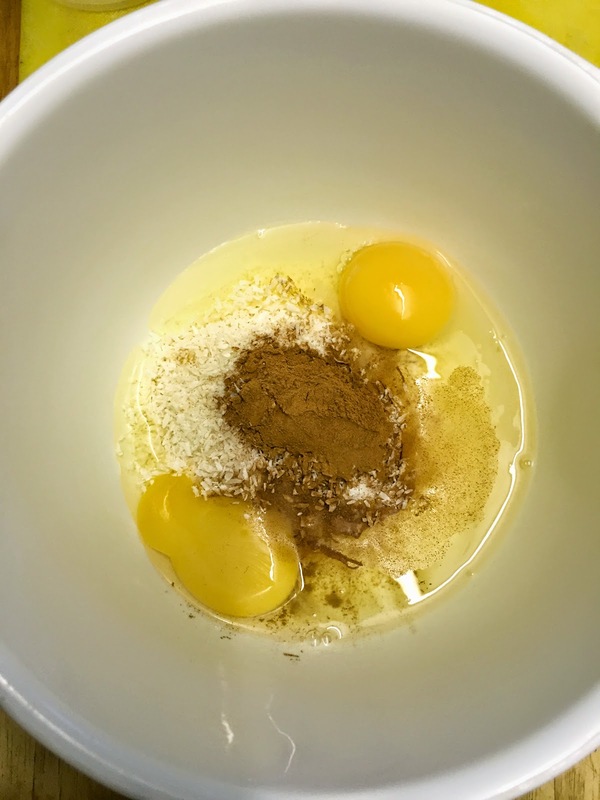 Mix all of the ingredients together without the butter/coconut oil. 2. Melt the butter/coconut oil in a small frying pan until completely melted. 3. Pour a small amount of the mixture into the hot frying pan and allow and couple of minutes for it to cook and then flip it over. :) Yes I over cooked mine, I hate bananas but wanted to give it a try. I have been told you can use apple sauce though. 4. Enjoy! I added a pile of fruit up next to mine and a little sprinkle of the coconut over the top.